After spending some time in Tokyo, we decided to board one of Japan's famous bullet trains and head down the coast. Since we had the time and wanted to see as much as possible, it made sense to use Japan's extensive train network to get around. There were many places that we wanted to see, and we ended up scheduling three days in Kyoto for New Years, as well as a day-trip to Osaka and a day-trip to Hiroshima using Kyoto as our base. 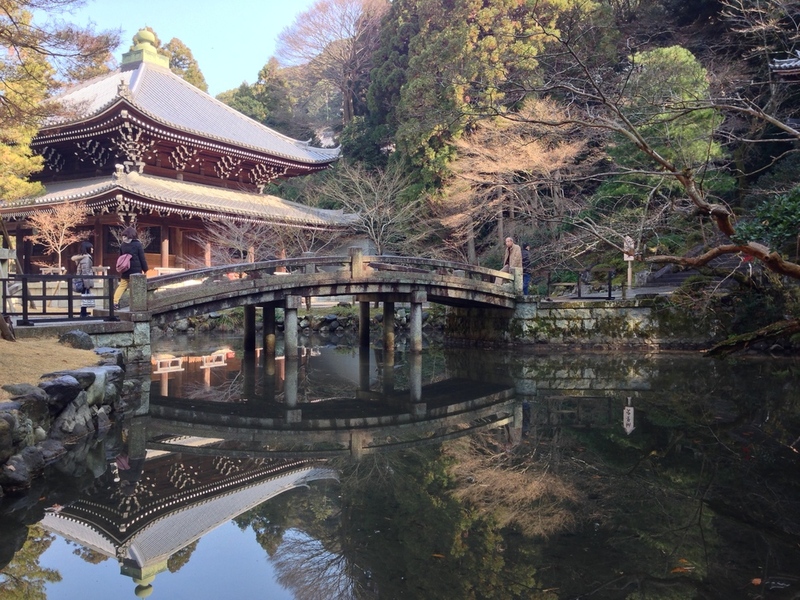 We wanted to visit Kyoto in particular because it's known for the large number of temples in and around the city. Osaka became a destination point because it was another major city nearby, and Hiroshima made the list because we were interested in seeing a city that looms so large in American nuclear history. Tip: If you plan to travel around a bunch on the trains, then I highly suggest you get a Japan Rail Pass. The passes are only available to foreigners, and cover all of your travel within a period of one, two, or three weeks, depending on what you buy. You can purchase the pass through a travel office in your country that sells them, and then you must take the voucher to a local JR office when you arrive in Japan to redeem your pass. That last bit is especially important, because we, sadly, forgot our voucher at home. Because Japan is (perhaps paradoxically) still largely a paper-driven society, the JR representatives were not able to simply look up our booking on a computer. No voucher, no pass. We were lucky in that the woman at the JR desk took our itinerary and worked with us for about an hour to help us figure out the cheapest way to travel to all of our destinations. We did end up paying a bit more than the pass would have cost, but we still got to see everything that we'd planned to thanks to the incredibly helpful JR representative at the Tokyo airport. In the end, the side trips were worth it. As a city, Tokyo is quite big and can be a bit overwhelming at first, so it was nice to see some smaller cities for comparison. I don't really have a favorite, as each city had its own feel, but I will say that if you have to choose one, Kyoto should be it. 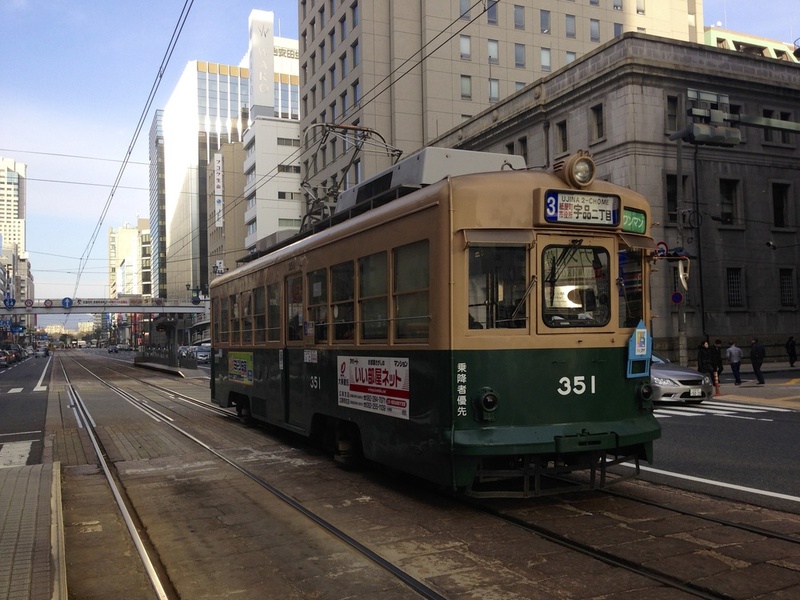 The following is list of some of the sights in the Kyoto, Hiroshima, and Osaka areas. We experienced a lot, so you'll notice that this recap is broken into four different parts to keep down the length of each post. I hope you'll find my tips and suggestions substantial, but if you want a recommendation and can't find one my posts, then please leave your questions in the comments. Nishiki Food Market - The owner and concierge at the guest inn where we stayed recommended this area to us and highlighted it on our map. The food market is located in a vast network of covered arcades selling everything from knives to clothing and, of course, food. It was really fun to stroll through the aisles to see (and sample) all the foods that are common in Japan. Gion - Gion is the old Medieval district in Kyoto. You can see beautiful traditional architecture and maybe even spot a geisha (also known as geiko) or two. There are also several traditional restaurants and teahouses in the area. Yasaka Shrine and Chion-in Temple - If you go through Gion towards the park, you'll see a giant gate leading to the Yasaka Shrine, a beautiful Shinto shrine. Past that and through Maruyama Park is Chion-in, a Buddhist temple. The massive main gate is the oldest surviving structure of its kind in Japan. We enjoyed walking through the main temple and took our shoes off to go inside and watch a Buddhist ceremony inside one of the main buildings. The main temple also has an example of a "nightingale floor" in which the floor boards are fitted so that they'll intentionally squeak and warn you of intruders. You should also wander up past the main temple to see the unique, traditional Japanese-style cemetery behind it. This was a very special stop for us, because we spent New Year's Eve wandering around the festival stands by the Yasaka Shrine before heading to Chion-in to hear the giant temple bell, which weighs 74 tons, ring in the New Year. The atmosphere was so different from a Western New Year. It was somewhere between a festival and a spiritual event, during which we lit incense and drank toso (a kind of sake). While I'm sure the area is lovely during the cherry blossom season, going during the New Year celebrations was a special experience that I will forever treasure. Dog or Cat Café - We saw several dog and cat cafés around Japan in which you pay a small fee to enjoy a cup of tea or coffee while you play with one of the many cats or dogs in the café. We didn't go to one in Japan, but did go to a dog café during our layover in Seoul. All of the dogs were very well behaved and adored attention from the many visitors. One little dachshund in particular singled us out, we think, because she liked to curl up in our winter coats. I imagine it must be difficult living with a pet in a city as large as Tokyo or Kyoto with typical Japanese working hours, so it must be nice for people to enjoy the company of animals when they can. The dogs in the café we visited looked well cared for by the many shop assistants, though I wondered how often they were let outside for a walk. Note: I just have to point out that Japan has some of the coolest toilets I've ever seen. The electronic ones often had self-cleaning, rotating seats, heated seats, and built-in water sprays for cleaning yourself. And even in busy shopping centers, the toilets were even cleaner than in Germany, which I didn't think was possible. There was never a bad oder, and most Japanese ladies pressed the "flush sound" button built into the stall wall to cover up the sounds of tinkling. That said, when we traveled south to Kyoto and Osaka, I did tend to see more "Eastern style" hole in the floor toilets. While a bit different from the fancy electronic toilets, they were, nevertheless, still extremely clean. Tip: I noticed that paper towels and sometimes even hand dryers were not so common in Japanese bathrooms. Most of the women I saw carried special hand towels with them in their purses. So if you're going to be spending a lot of time in Japan, then you might want to invest in a hand towel for your bathroom visits. Kinkaku-ji - You've probably seen computer wallpapers or at least travel photos of this beautiful Zen Buddhist temple covered in gold. You can't go in the temple, but the walk about the lake that it's on is lovely. There's also a smaller silver temple called Ginkaku-ji, though we didn't make it there on this trip. Ryōan-ji - This Zen temple is famous for its large rock garden. They say the rocks are placed in such a way so that you can't see all of them at the same time from the veranda. Though I tried, I realized after taking my photo of the garden that I had, indeed, missed a rock. Fushimi Inari-taisha - This shrine is famous for the many red torii gates that line the pathways up the side of Inari mountain. You can walk the full 2-hour circuit to the top of the mountain, though we chose just to wander around the lower paths as we were pressed for time. Coincidentally, this shrine was the first one we visited on New Year's Day, and it was packed with other visitors. The road leading to the shrine had many festival stalls selling food and trinkets for the New Year. Once we got inside the shrine, we saw visitors making offerings to the temple (or gods? ), playing coin-toss games for luck, praying to various smaller shrines, buying new trinkets to commemorate the Year of the Horse, and paying to get their fortune for the new year. The shrine was also neat because there were lots of stone statues of foxes all over the place, which are apparently common at Inari shrines. Despite the crowd, the atmosphere was almost electric with everyone celebrating. Arashiyama - On the outskirts of Kyoto you can find the Arashiyama district, which is famous for, among other things, having a massive bamboo forest. I'd never seen so much bamboo before we visited Arashiyama. You have to stay on the designated paths while you're walking, but it's pretty incredible nonetheless to look into the forest and be surrounded by giant, vibrantly green bamboo stalks. Hiroshima Peace Memorial and Museum - I wish every American could visit this city. Of course there are other things to do besides see the memorial, but it was the main reason we visited. Inside, you can read all about the events leading up to the decision to drop the atomic bombs on Hiroshima and Nagasaki. The first floor of the museum doesn't shy away from Japan's history of aggression in the Pacific region as part of the West's motivation to drop the bombs, however, it also mentions the recommendations of several scientists involved in the project not to use such a devastating weapon since little was really known about the effects at the time. The second floor is truly haunting, as you can see real-life models, artifacts, and pictures documenting the effects of the heat blast, initial radiation, fire storms, black rain, and later long-term radiation on the population. I will forever remember seeing skin melting off of muscle and people wandering through total desolation to try to find loved ones. After seeing the effects, it's hard to imagine that there was a time when dropping the bomb became what seemed like the only option to end the war, and when nuclear war was a constant threat around the globe. Note: The most trash we saw in Japan was, ironically, surrounding a trash can in a park in Hiroshima. Otherwise, the streets in Japan were generally spotless - no cigarette butts, no empty McDonald's boxes, no plastic bags - despite the obvious lack of trash cans on the streets. Matt and I even ventured to guess that there was no trash on the streets because there were no trash cans, and it was funny to imagine all the people we saw walking around with trash in their pockets until they got home (which is what we ended up doing). Osaka Castle - I was really excited to see Ōsaka-jō, because it was my first Eastern-style castle. I'm used to the towering turrets and spiraling staircases of German castles, but Ōsaka-jō was a solidly built, eight-story structure on a well-fortified plot of land surrounded by a wide moat. We paid to go inside, which offered a panoramic view of Osaka and included a brief history of the castle and some of the shōguns who lived there. I was, however, somewhat disappointed not to see more rooms in the style they would have been during the castle's heyday, since I don't really have a good mental picture of that kind of interior decoration. Nevertheless, I recommend going inside if for nothing else than the view. Shitenno-ji - The temple tower at Shitenno-ji from the 6th century is the oldest Buddhist temple in Japan. You can go up the inside of the five-story pagoda, which is filled with tiny gold statues. Tip: If you plan on going in a lot of shrines and temples, you should be prepared to take your shoes off, as they are generally not allowed. If you go in the wintertime, like we did, then you might want to carry a pair of slippers with you. I brought some from our hotel. You could also bring a pair of socks if you're wearing sandals in the summer. Dōtonbori - They say this district in Osaka, which is known for its bright signs and busy network of telephone and electricity cables, was one of the creative inspirations for the cityscape in the movie Blade Runner. It's definitely a cool place to walk around and soak up some of the city's atmosphere. Go to Part 4 for suggestions on what to eat in Kyoto, Hiroshima, and Osaka.